Sharing a little about himself and what he’s doing at Cover Mongolia. Hi Mogi, can you please share a little about yourself and what you’re doing at Cover Mongolia? I am the founder and CEO of Cover Mongolia, a market intelligence firm covering Mongolia. In addition to that, I’m a candidate completing a master’s in public administration at the National University of Singapore’s Lee Kuan Yew School of Public Policy, advisor to the Mongolian diaspora association, the Council of Mongolians Abroad NGO, head of the National Labor Party of Mongolia’s youth wing, and a member of Forbes Mongolia’s 40 Under 40 Class of 2015. I am also a social and political activist. I’m frequently asked to be a market commentator on international and local media, such as Bloomberg, Reuters, Financial Times, AP, AFP and the Nikkei Asian Review. What got you started at Cover Mongolia, looking at market intelligence for Mongolian stakeholders? How did you get into this field? What became Cover Mongolia began as a client update email when I began working as a stockbroker almost a decade ago. It was a way for me to keep my clients updated on their portfolio and the political-economic developments in Mongolia. 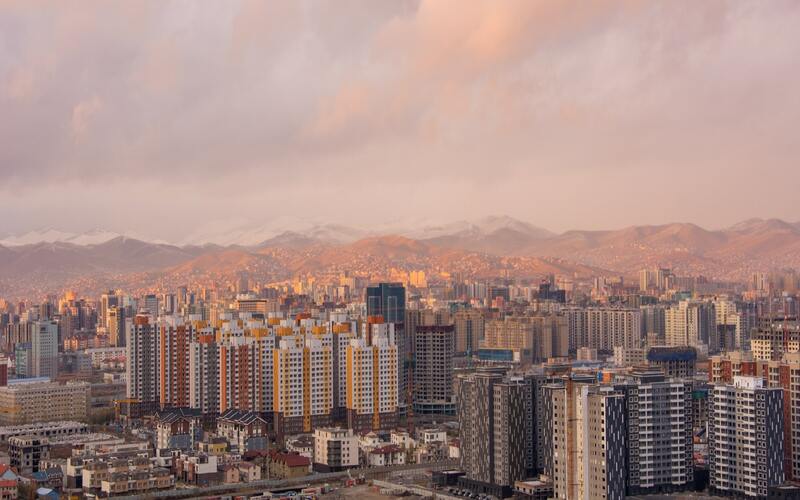 For investors looking at Mongolia, what industries or opportunities do you often talk about? Obviously, the mining sector is where most of the investor attention is focused on. After that, agriculture and tourism are where I see the most headlines coming out of. But, the tech startup scene in Mongolia is where I believe you’ll see the most buzz is created. You’re currently studying at Singapore’s prestigious Lee Kuan Yew School of Public Policy – what have you learned from your master’s in public administration? I learned that the world is smaller than I even imagined it to be, that Mongolia’s problems are not unique, but shared universally across the world. I am learning a lot from my professors and schoolmates. I hope to bring home as many ideas as I can and adapt to the lessons I learned at home. Do you believe Mongolians need to study or work overseas to be successful back home? Having spent a good portion of my life overseas, I am now fully convinced that for any Mongolian to truly succeed back home you must have a good understanding of both local and global knowledge. Thankfully, information globalization now allows anyone with a good internet connection and decent English skills, both of which are now more accessible than ever in Mongolia, you really don’t need to be physically abroad to understand what the rest of the world is thinking. But, what you can’t succeed without in Mongolia is understanding of the local culture and values. You’ve also worked in marketing before. How would you describe the state of the marketing industry in Mongolia at the moment? Marketing is all about creativity. The freedom of thought that Mongolia affords us has truly allowed the industry to thrive to a point where we now see local PR firms expanding their services overseas. I expect to see Mongolians minds shaping the world market more and more. What challenges do you believe Mongolia faces and can the country be more successful in the future? Mongolia’s biggest challenge is the lack of political stability and accountability. But I am hopeful that the voice of reason and rational thinking can overcome the populist and nationalist sentiment from narrating the public debate. But we are not alone in this struggle. For anyone looking to start a new business or start-up in Mongolia right now, which industries are hot and which areas do you feel entrepreneurs should focus on? We’ll always have an interest in our traditional industries, but I would also like to invite the world to look at our bustling tech startup and organic product scene. I am immensely proud of the creative and globally-minded spirit of our entrepreneurs.